Once per month, I invite other real estate websites to submit one article, written for consumers on some subject of real estate. I ruthlessly reject wrong, bad, and useless information, and actually make fun of all the spam (without linking, so they don't get their search engine kick). Today, the Consumer Focused Carnival of Real Estate for July is up. It's kind of small - not surprising in the summer. But it does show that I'm not the only one writing for consumers. The Carnival will return on August 31, 2008. If you would like to submit, the guidelines are here, and the link is here, or you can just email me (A valid email return address is required in any case). Ideally, I'd like to start getting enough submissions to justify doing the carnival more often. Today's new consumer article is Conforming and Jumbo Only Apply to "A Paper" Conventional Financing, a discussion of the root differences between A paper, government loans, and subprime. 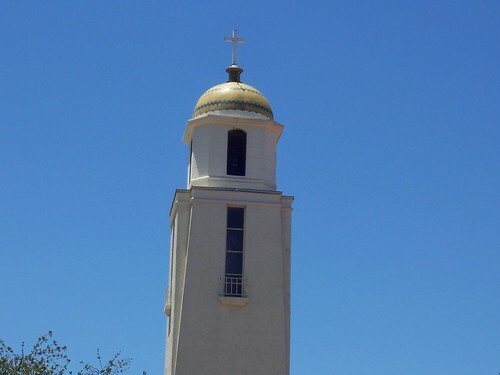 This is a new series I'm starting, on the neighborhoods of the area I primarily work, which includes La Mesa, San Carlos, El Cajon and Santee. 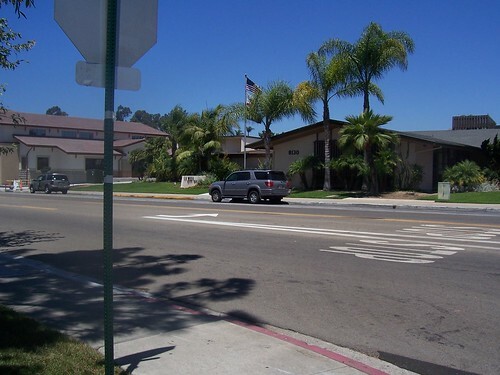 La Mesa Village is the old downtown area of La Mesa. This was the central area when La Mesa was still a farming and ranching town before World War I. Most of the city offices are in this area, and some of the buildings date back back to the 1890s or further - quite old for California. In recent years, it has seen a renewal as the city made an effort to make into a destination and gathering place. Many of the civic buildings have been rebuilt completely very recently, and There's always been an Oktoberfest here, but in the last few years it has gotten much bigger than formerly, and many other activities have been added. For instance, on Thursday evenings there's a classic car show, centered on La Mesa Boulevard west of Spring Street. Studios and small personal businesses abound in the commercial areas. 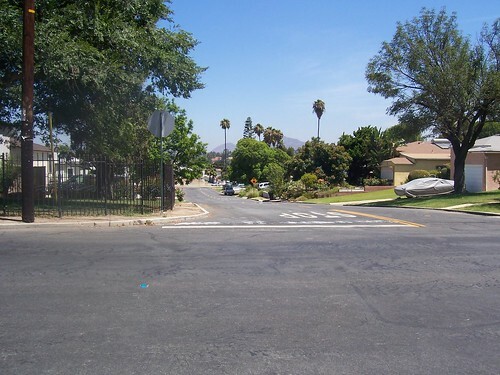 This area is bounded by University Avenue at the western intersection with La Mesa Boulevard (they intersect twice) to Memorial Park and the eastern intersection, up to Lemon Avenue to Fourth over to Pasadena across Spring Street (even though it doesn't actually cross Spring) , and up Date Avenue to Acacia Avenue and thence back down the hill, including Alta and more of Lemon Avenue. 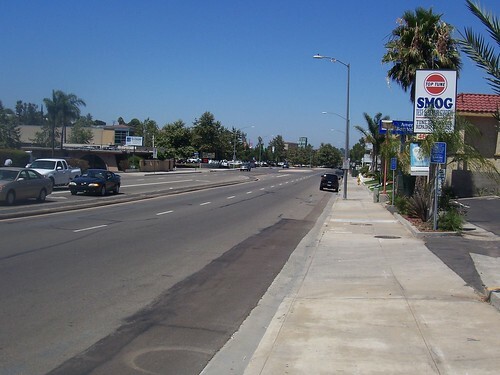 The main commercial arteries serving the area are Spring Street running north--south, and University Avenue, La Mesa Boulevard, and Allison Avenue running East West. El Cajon Boulevard does not actually the enter the area although it's only a block or so away. There's a couple blocks of small businesses on Lemon and Palm Avenues as well. 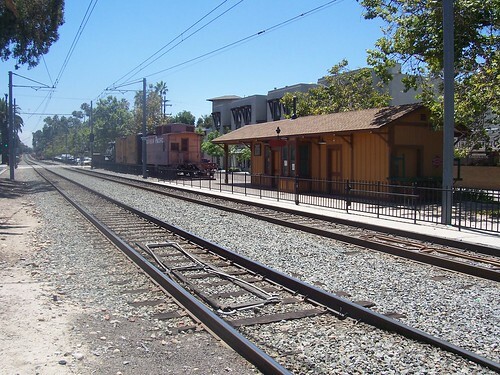 The Old San Diego and Arizona Eastern Railway tracks support the Trolley for a good portion of its length. The original is well known in railroading circles for Carrizo Gorge Railway. I remember the trains coming through before the tracks were washed out there in the early 1970s. One of the things that stand out about the area, however, is how quickly it changes from commercial to residential, and how quiet those residential areas are by comparison. 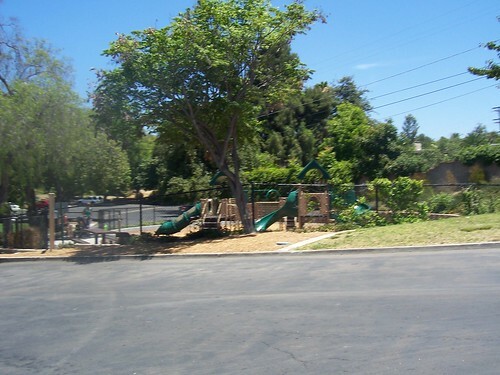 It's a three minute walk from a lot of good residential areas to the commercial heart of the village. The whole area is very walkable. This is largely because it grew that way organically - this is a very difficult thing to plan, especially in today's urban landscapes. 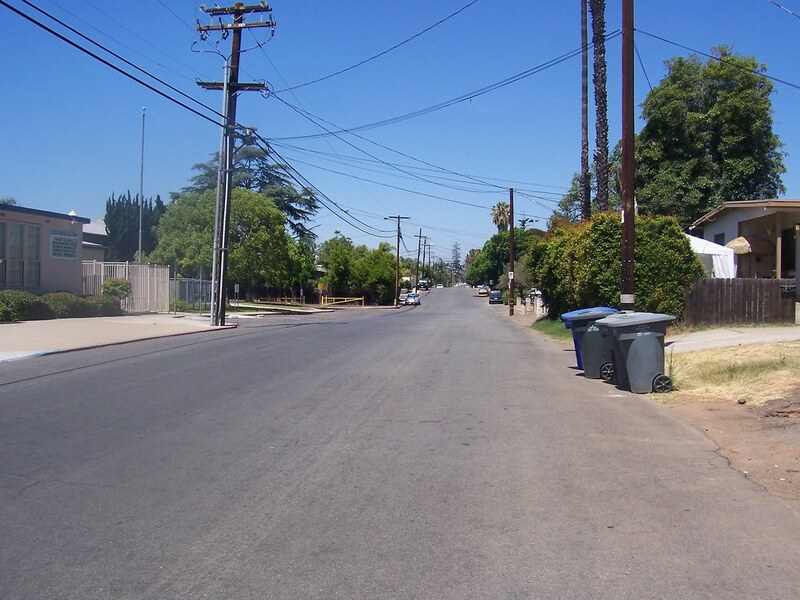 For instance, here's a picture of Palm Avenue itself, between Alison and University. 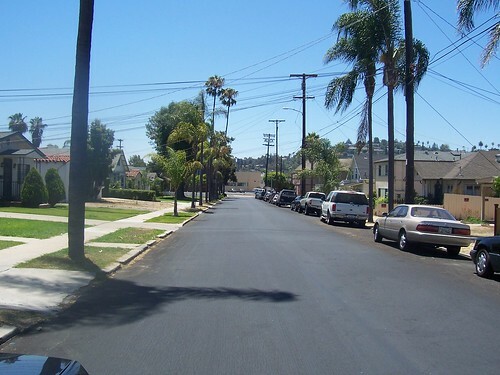 One block over, Palm turns commercial, and University and Allison are both commercial, but this is a quiet residential street. I took this from the corner at University. Physically, the houses are mostly three to four bedroom, one to two bathroom houses, built between 1910 and the early 1950s. More of them use piers than concrete foundations, and the architectural styles vary from Edwardian to modern. Hardwood floors are far more the rule than the exception. There is a lot of individual character to most of the houses, with only one small cookie cutter development I can think of. Most of the residents love it. There are some more modern dwellings built as fill-ins and replacements. Asking prices vary from around $350,000 to $700,000 as of this writing, with the higher value residences mostly being on and around Date and Acacia, and the lower end on Palm and the bottom of Nebo, and the rest of the area falling in-between, including the residential areas around the east end of University Avenue such as Pine and Colina, as well. Foundation and settling issues have always been rare in the area, and have mostly long since been dealt with. 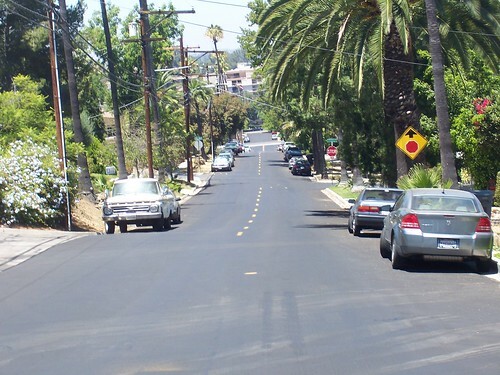 The Village is not the very best neighborhood of La Mesa, but most of it is pretty darned nice. It's a great place to be, and you don't have to go very far to find interesting things to do. Transportation and the roads serving the area about as good as it gets. Spring Street runs between I-8 and the Junction of California 94 and 125. There are also other freeway entrances and exits close by. The Trolley runs along Spring Street, with previously mentioned stops, and several bus routes feed it as well. 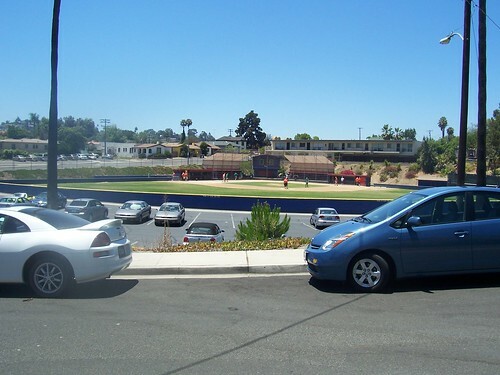 You can get to Mission Valley shopping and commercial zone in about ten minutes, Downtown San Diego in about fifteen. Even during rush hour, traffic is nothing as compared to what the commuters on I-15 and I-5 face constantly. Local major shopping includes Grossmort Center (Target, Wal-Mart, Macy's, Theaters), a five minute or less drive that's also served by the Trolley, or you can bike on over via several good routes. There's a Costco even closer on Fletcher Parkway. 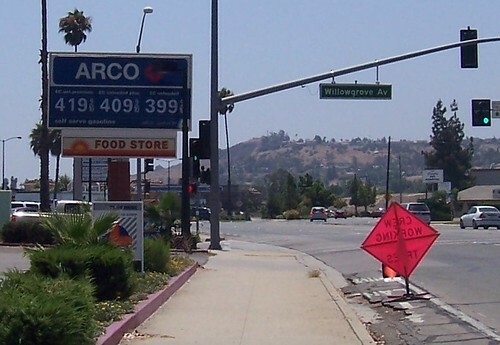 College Grove (Sam's Club and Penneys) is almost as easy, and Parkway Plaza in El Cajon is also a good option. 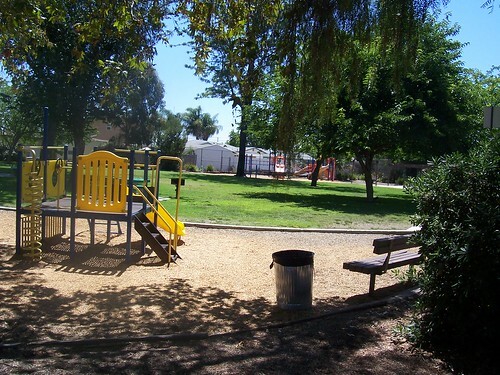 If you'd like to talk more about The Village or any other neighborhood of La Mesa, Contact me. I will be happy to discuss which neighborhoods might be right for you, or the marketing of your current property. This area is bounded by 70th street, University Avenue, the San Diego border (which is highly irregular) and El Cajon Boulevard. 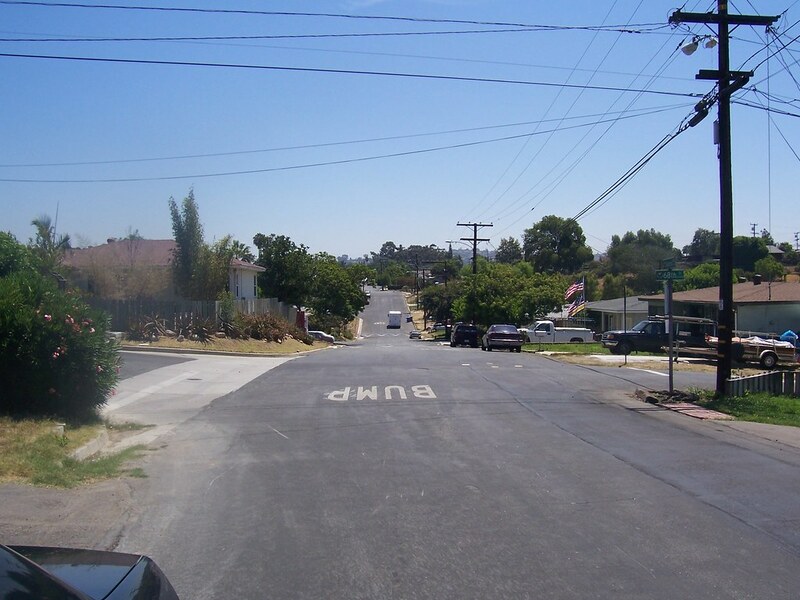 On the San Diego side of the border, the neighborhood is similar until you get west of Aragon Drive and Rolando Boulevard. 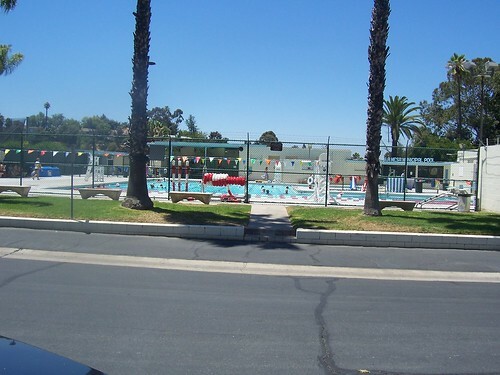 North of El Cajon Boulevard is all San Diego, and is also similar. 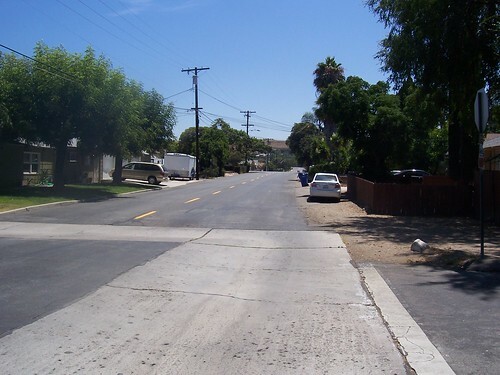 East of 70th Street is a slightly older area of La Mesa with fewer trees centered upon Harbison Drive. 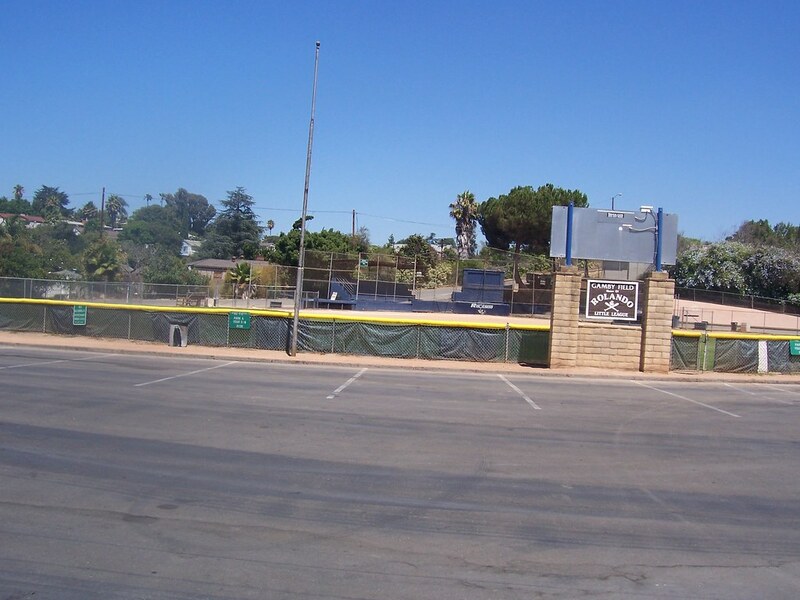 South of University Avenue is Vista La Mesa. 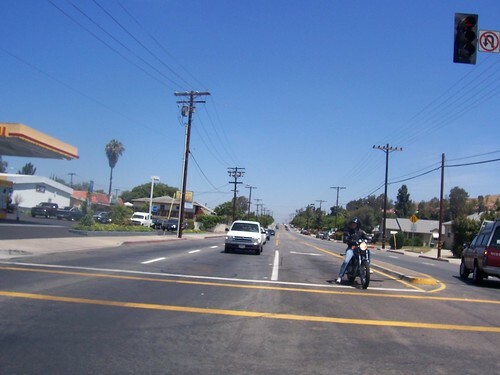 The main commercial arteries serving the area are El Cajon Boulevard and University Avenue, there being no commercial activity on 70th Street away from the two main intersections. Best Produce sits just out of the previous photo to the left, on the southwest corner of the intersection of 70th and University. 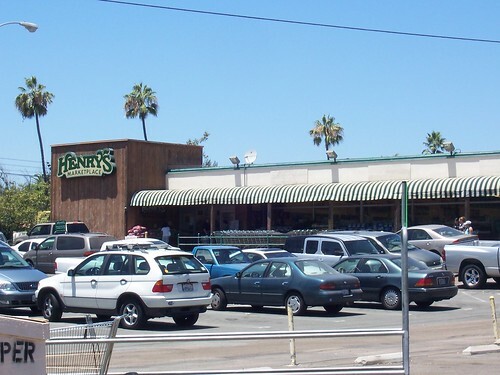 If you want real fresh produce, you have the choice of them or Henry's on Spring Street. Once you're away from the main arteries, there really isn't much in the way of high density housing. Most of the neighborhood is single family residences, built during the 1950s if not before. The subdivision maps were laid out in the early 1900s, but not filled in until the post-war period. Any housing built since about 1960 is mostly replacement for an earlier original. The vast majority of houses are unique - I cannot think of a single tract development in the entire area. Every house is different from every other. 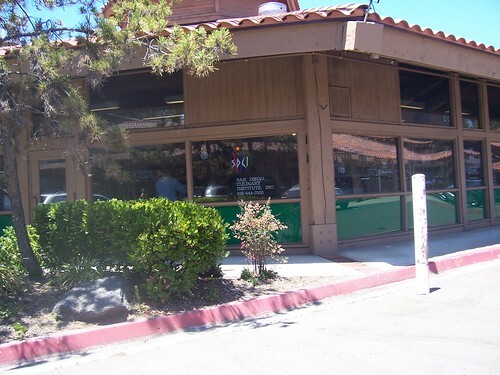 This characteristic is pretty common in La Mesa, something most of the residents love. Physically, the houses are mostly single story 3 and 4 bedroom, 1.5 to 2 bath houses from around 1200 square feet to around 1600, sitting on lots of about 6500 to 8000 square feet. In the fifty years since the neighborhood was built out, many have had additions, of course, as the lots have plenty of room. Many use the older pier support, but concrete foundations became mandatory while the neighborhood was in the later stages. Foundation issues and settling are rare, and those that existed have mostly long since been dealt with. Hardwood floors are more rule than exception. Asking prices start around $340,000 for something very livable, and go to just under $500,000. 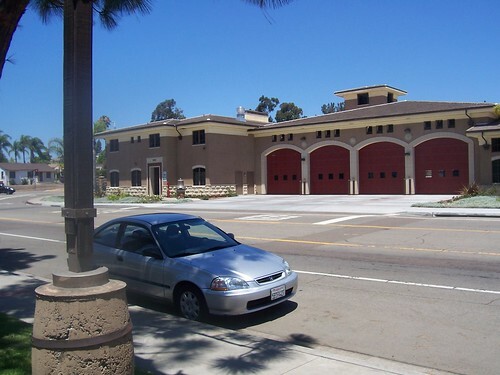 A family making San Diego Area Median Income of $72,100 can qualify for these properties fairly easily. The thing that stands out about the neighborhood is how quiet it is. 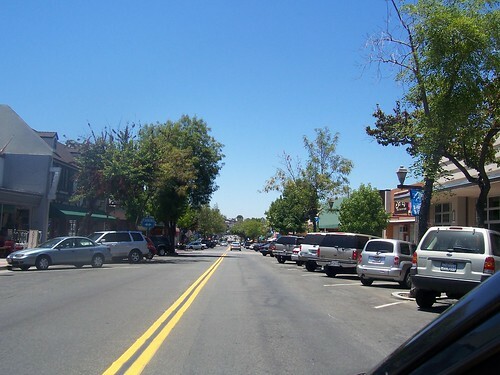 Many people seem to think it should have more of the character of the main streets, but once you are off those main streets, there's just nobody here but your neighbors (along with an occasional inquisitive realtor, of course! ), and 95% of them live in detached single family residences. It's hard to take a picture a lot of places without trees blocking most of it. 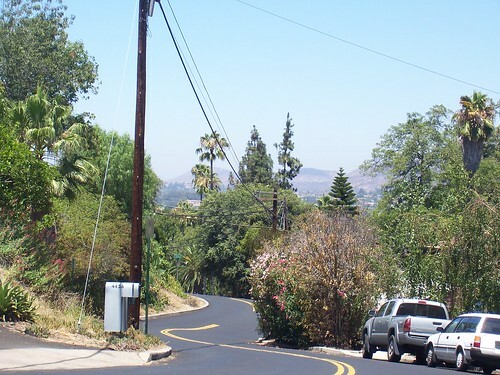 One thing the neighborhood does not have an abundance of is the panoramic views that happen through most of La Mesa. 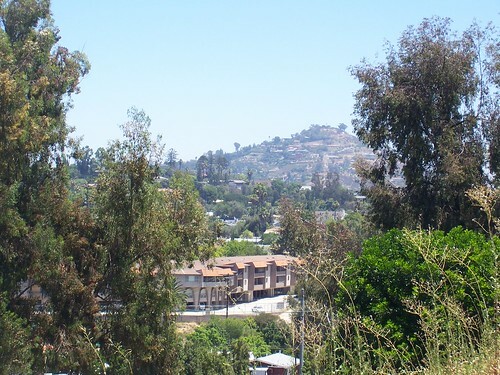 There are many properties with nice views, but the area is flatter than most of La Mesa, and it's hills that make for that kind of views! 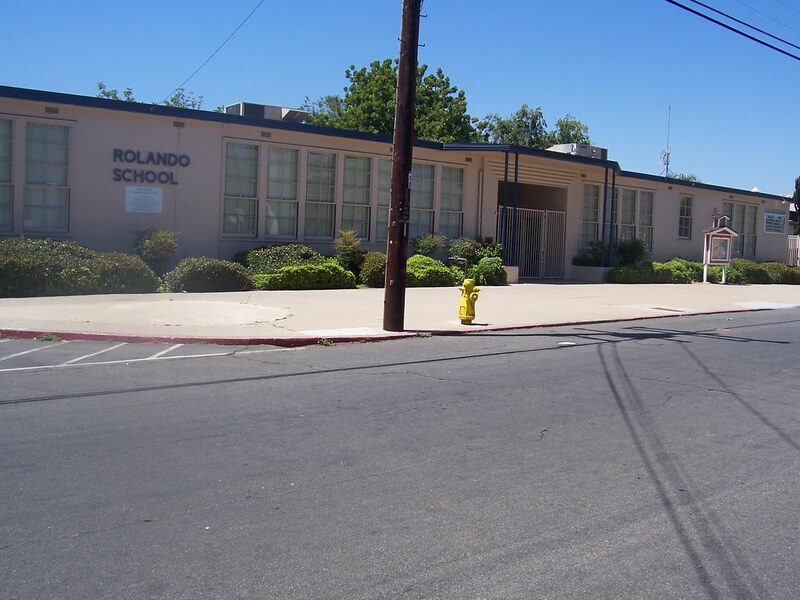 Rolando is a very nice neighborhood to live in, with great central transportation. It's two minutes to Interstate 8 via 70th street, 5 minutes to CA 94 via Massachusetts. You have your choice of several major supermarkets within a mile or so. You can get to Mission Valley in ten minutes, downtown in 15. 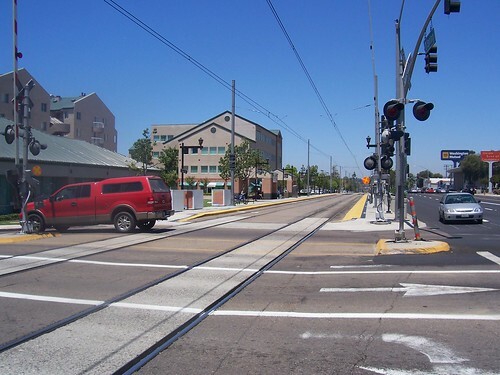 The San Diego Trolley runs adjacent to Interstate 8, and has stops at Alvarado Hospital and just east of 70th Street, and El Cajon Boulevard and University Avenue are both bus routes. 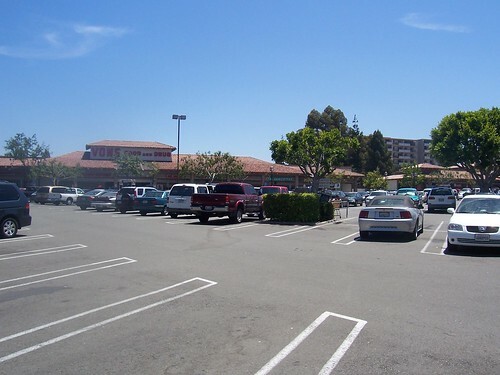 Major shopping centers are found in College Grove (Wal Mart, Sam's Club, Target) at College and 94, or Grossmont Center (Target, Wal-Mart, Macy's, Theaters and dining) at Interstate 8 via Jackson and Grossmont Center Drive exits. 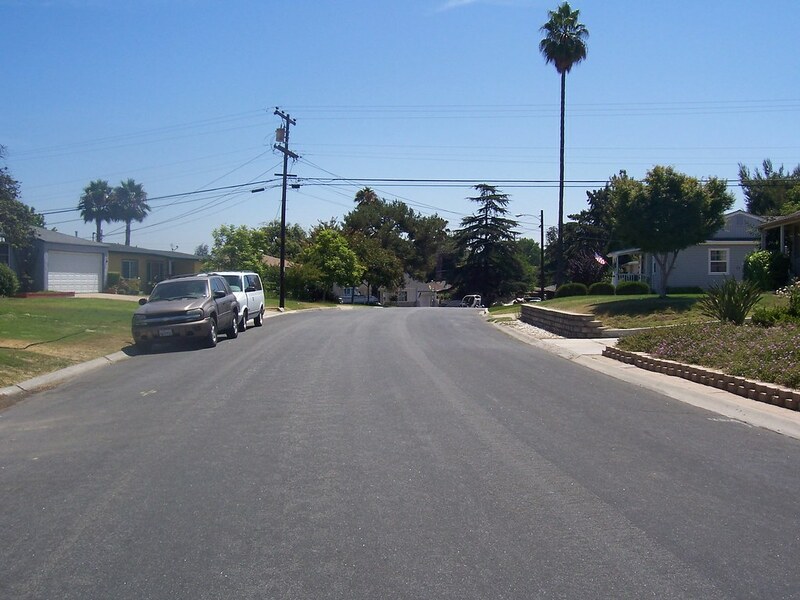 If you'd like to talk more about Rolando or any other neighborhood of La Mesa, Contact me. I will be happy to discuss which neighborhoods might be right for you, or the marketing of your current property. Today's new consumer article is Procuring Cause and Multiple Agents, which talks about multiple agents and which one gets the commission. Today's new consumer article is What Does It Mean To Fall Out Of Escrow?, which talks about the process of escrow and what really causes escrows to fall apart - and that it is not something to fear. Today's new consumer article is Buying Teardown Properties and Condemned Buildings, a discussion of the basic issues of buying property with condemned buildings, or ones that you just don't like and want to replace. There's another article set to go for tomorrow. I'm not sure about the rest of the week. The tooth was taken out on Wednesday, as I said on my other site, and completely forgot to add here. Bleeding stopped Thursday, I have graduated down from Vicodin to Ibuprofen as of Thursday evening. Since Ibuprofen doesn't hit me nearly so hard, I'm planning to be back from mostly involuntary hiatus on Monday. I wrote two articles Saturday morning, which are set to publish Monday and Tuesday. I was going to write more but at this point I just don't know, because I'm pretty depressed about Mellon. 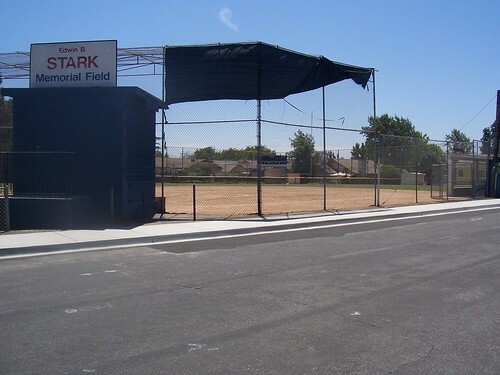 This week I was intending to start here with some more local articles, about the neighborhoods of the area where I work, as well as at least one Hot Bargain Property and Real Loans for Real People, but we'll have to see how things shake out. I loved that little dog. If You Don't Think Agents Are Valuable, Do It Yourself. If you really think agents aren't worth anything, stop asking us to work for free, or give free advice. Charles Schumer Administers Coup-de-Grace to IndyMac How to change a corporation from hurt but salvageable to dead meat, and cost the taxpayers four to eight billion dollars - all by publishing one letter. The High Cost of Waiting To Buy A Home talks about the expected costs of holding off one, two, or more years to buy the property you are interested in. 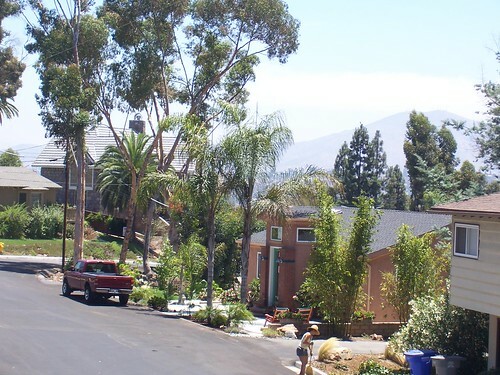 In San Diego County right now, the reward for moving before the crowd will be much greater. Stupid Negotiating Tricks: Appeal to Pity (or Falling for Appeal to Pity) talks about one of the common tricks of a certain type of buyer - and seller. The Lure and the Trap of Debt Consolidation - Payment Versus Cost of Interest talks about how dangerous loan consolidation is - and how to do it right. Signing Off Loan Conditions talks about the actual process of getting loan conditions signed off, with some common tricks of the less scrupulous loan provider thrown in. Real Estate: Getting From Where You Are To Where You Want To Be talks about how to get from where you are to where you want to be when what you want is more than you can afford right now. Just got home from running a couple of errands, and when we got back, Mellon was dead. She was fifteen years old, and not in good health, so I'm not all that surprised, but it is like losing a family member. This has not been a good year for me, in any way, shape or form. She was a pureblood dachshund, black and tan with a silver grey dapple on her. Her name was out of Tolkien elvish, "Friend" it meant, and she was. No champion dog she, but one of the most eye-catching dogs you ever saw, and she loved attention. I knew when I bought her that her hips were bad, but she was such a sweet little dog her whole life that everyone loved her, even though she started losing her mobility before she was five. All she wanted out of life were regular meals and a little affection. I did my best to provide those, and in return, she loved everybody. She never so much as growled at either of the kids, or anyone else for that matter (except Julia, who I felt guilty about introducing into the family with her so old and hampered). She may have started losing her mobility early, but until recently you could always tell when she was happy. She would run little circles of joy when something good happened - special treat, mommy and daddy paying attention to her, or even just mealtime. She'd go round and round, hips pumping despite how damaged they were. She wasn't in pain, she just couldn't move as easily as most dogs any longer. When she lost the ability to run in circles, we bought her a little canine wheelchair that she hated because she couldn't get under the couch to take shelter from Julia. She couldn't run and play like the puppy, so the girls started ignoring her, but she was still happy with whatever anyone would give her in the way of affection. Like every other dapple dachshund I've ever seen, she started losing patches of fur quite early. She was such a pretty dog when she was young, but even my wife (whom I met when Mellon was about three) had never seen her with all of her fur, and all of my pictures of her when she was younger (the way I want to remember her) are in storage. Luckily, she lived in San Diego, and she had a sliding glass door her whole life that got good sun in the afternoon. You always knew where you'd find Mellon in the afternoon - right there in that sunny spot. Goodbye sweetie. Whereever dogs go, may you always have a warm sunny spot and as much food and affection as you need, without any young puppies who don't understand that you're old and can't play like that. You helped me in a very bad time of my life, and I will miss you badly. Today's is only an update of a previously written article - but it's an update of one of the most important articles I've ever done, The High Cost of Waiting To Buy A Home. This article looks strictly at the costs you incur by waiting to buy, even if you have a dedicated program of saving for a down payment in the meantime. Delay isn't pretty. In the average case, waiting a single year to buy a $300,000 property costs you over $20,000 in terms of financial results. Considering the current state of the market, that's a very low estimate. Today's new consumer article is If You Don't Think Agents Are Valuable, Do It Yourself, which discusses people trying to get real estate agents to do our core work for free, and how what their actions say overshadows whatever words they may utter. (I'm not talking about any number of minor activities agents are happy to give out for free. I'm talking about people who try to get buyers agents to find their dream property, or listing agents to to market and sell a property, without engaging them for the transaction). How to Buy a Bargain Property, a discussion of what sorts of properties to look for. Buying Your Final Home: Payment versus the Rate/Cost Tradeoff, in which I discuss why you want to pay attention to the real cost of the loan, not the payment - even when you're never going to pay it off. What to Beware in Third Party Services, talking about kickbacks and the lengths some agents will go to. What Happens To Equity During and After Foreclosure?, talking about how the equity you may have thought you had will evaporate during the foreclosure process. What to Do When Your Loan is Declined is a look into the process that many loan providers use as a bait and switch technique. What Happens To Equity During and After Foreclosure?, a discussion of what it will cost you to allow the foreclosure to proceed instead of selling the property yourself. Vampire Properties, discussing the property with beautiful surfaces that lures buyers in, only to discover the rotten substructure after they have bought. Once again, I do apologize for only two new articles this last week. That was not the plan. Unfortunately, my tooth had other plans. I still don't have the tooth pulled, but as of late last night, it seemed like the antibiotic had finally caught up to the infection, and the pain went down a lot over a couple of hours. It still hurts, even with pain killers, but it's not like being actively and continuously stabbed any longer. I'm going to try moving down to the Vicodin the general dentist gave me today instead of Percocet, and maybe I won't be quite so out of it, so maybe I can write something. I am very sorry for the sparse output this week, especially after last week's vacation. I'm sitting here on Percocet and my jaw still feels like someone is stabbing it with an icepick. While this is an improvement, it's still very difficult to think, work, or drive. I do not think I'll be able to do anything more than reprints until we get clearance to extract that tooth. That moment cannot come too soon for me. I've already lost three full days of work over this, and the pain isn't any fun, either. Today's new consumer article is Buying Your Final Home: Payment versus the Rate/Cost Tradeoff, a discussion of why, even though you may have no heirs and may never be intending to sell, you should still shop for a loan by the rate and cost, not the payment. I have a toothache that has escalated quite nastily overnight. I'm maxed out on total allowable dosages of all the over-the-counter painkillers in the house, and icing like crazy, so I'm going to try and move my appointment up to today. I may not be able to do anything useful until this is taken care of. Effective today, I'm going to start doing things a little different. I'm going to keep publishing the general consumer articles - but over at Searchlight Crusade, and I'll link to them from here. 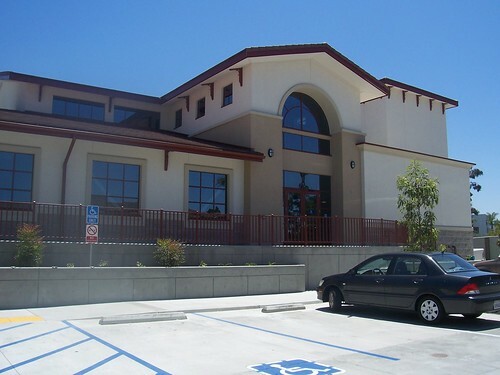 The articles here will continue - but they will cover things such as bargain properties, currently available loans, and market conditions in the area I work - in other words, heavily concentrated in and around the city of La Mesa, with some relevant items for the rest of San Diego county. There will also be a few other minor changes to the format here, but the site will be quite recognizable. Yes, it is true that purchase money loans are largely non recourse in California. However, I do not agree that there is no financial consequence. First off, there are credit repercussions for up to ten years. Among other things, this will make it more difficult for the buyer to rent the next property they will live in, as well as making it more difficult to obtain financing on the next property they want to purchase, when they really are ready to join the grown-up world. Second, just because the lender cannot seek a deficiency judgment does not mean that the IRS will not tax them for debt forgiveness. If the lender loses $50,000 in debt forgiveness, they will report it to the IRS, because they want that deduction from income. The IRS will then tax the former owner whatever tax would be due upon the residence. Income from debt forgiveness is ordinary income, and it is fairly likely to boost the taxpayer up in tax bracket in such a case. So now they have to come up with thousands of dollars. If they had those thousands of dollars, they probably wouldn't have lost the property. So now the IRS is looking for other ways to get their money: attaching wages, confiscating other property, etcetera. I should also note that there are all kinds of exceptions to the law limiting deficiency judgments for purchase money loans. Fraud is one such limitation; if the buyer had to state more income than they in fact make, that would certainly prove to be an interesting case. I don't do it, but that doesn't mean it never happens. Furthermore, just because the buyer doesn't fall into one of the exceptions does not mean the lender will not contend in court that they do. The law doesn't actually prevent the lender from seeking a deficiency judgment; what it says is that they're not entitled to one if certain conditions hold. Proving that proposition in court is expensive, and the lender can always hope that you simply default by not showing up or something similar. There are very definitely negative consequences. Buying a property is a complex decision, and should not be done lightly, on the basis of "Walk away if it doesn't work out." The consequences, even if not direct, spread out like ripples in a pond when you drop in a stone. Real estate is a fantastic investment, properly approached. With the tax code and the way leverage works, among other things, it trivially beats anything of equivalent risk for potential reward, or alternatively, beats anything of equal potential for reward as far as low risk. But that risk is not and never will be zero. Indeed, it cannot be. Real estate isn't liquid, and you never get to play with someone else's money risk free. That's two of the many reasons why you need competent professionals on your side. Second Trust Deeds are something few real estate loan officers really understand well, mostly because the good ones don't make much money on them. Predatory lending laws in most states, limiting total compensation and total expenses to a given percentage of the loan amount, mean that brokers usually can't make enough to pay their expenses unless there's a first trust deed involved as well. Direct lenders can, because neither the premium they receive on the secondary market nor the interest rate is usually restricted. As a result, many direct lenders can get away with highly inflated rates on second mortgages. Most of the people who approach them won't know any better. I've lost count of the number of fourteen and sixteen percent rates I've seen, when eleven is a rotten rate for a sub-prime borrower. But if you will look, second mortgages can be found at surprisingly low rates and surprisingly low cost. If you've got decent credit and a verifiable source of income, fixed rate Home Equity Loans can be had under 8%, and variable rate Home Equity Lines of Credit can be found for 8 to 8.25% (or less). Even sub-prime borrowers can usually find something around 11% if they'll look a little bit. Second (and Third) Mortgages come in two basic flavors. If you get the proceeds all at once, they are typically fixed rate Home Equity Loans. These are essentially traditional loans. There are also Home Equity Lines of Credit, where you are approved for up to a certain amount, and you can take distributions any time during a draw period that varies from five to ten years in length. These work more like credit cards: You pay interest only on the the outstanding balance at any given time. If you pay it down during the draw period, you can then take it out again. Once upon a time, both products typically had all of the closing costs that first mortgages did. In the last few years, this has changed, largely driven by competition from credit unions, and I always suspected that second mortgages was why the banking industry was lobbying for restricting credit union membership a few years ago. There are also two styles of obtaining a second mortgage. "Stand Alone" Second Trust Deeds are done on their own; when they are done in conjunction with a First Trust Deed, they are called "Piggyback" loans. With their popularization as a way of avoiding Private Mortgage Insurance (PMI) on low down payment purchases, pretty much every lender in my database does piggyback seconds. However, only about half will do stand alone seconds. With the regulations the way they are, even the higher interest rates are not attractive enough to get them to do the loan, because it takes basically the same amount of work. Because "piggybacks" are done in conjunction with first mortgages, everybody wants them and everybody does them. Additional lender charges can be small to non-existent. They benefit from having the first done at the same time, and since all that work has already been done for the first, the additional work is kind of minimal. Whether they're a broker or direct lender, they make enough on the first that they don't have to charge as much for a second. Good "stand alones" are harder to find. For instance, here in California, predatory lending laws limit both total broker compensation and total costs of the loan to six percent, but it still costs about $3500 to do the loan unless the lender relaxes one or more of the traditional requirements. For brokers, this means that they can't jack the rate up to pay for the costs of the loan. If the loan is $50,000, $3500 is seven percent of the loan amount. If brokers try to make it up via yield spread, Section 32 limiting total broker compensation to six percent kicks in, and they cannot do it. Note that this limitation does not apply to direct lenders, as their eventual premium on the secondary market is not covered, and the amount of interest they receive if they hold the note is only subject to very weak governance rules. Upshot: Stand alone second mortgages, unlike first mortgages, are a very hard area for brokers to compete well in. I've got a couple internet based lenders for higher loan amounts (about $75,000 and up), but for smaller loans than that I will usually tell folks straight up that credit unions are likely to give a better deal than I can. For first mortgages, or firsts with piggyback seconds, that situation is reversed. In some certain situations, due to the low cost of doing second mortgages, I can actually get a client a better loan by doing a purchase money loan under a program traditionally associated with stand alone second trust deeds. With some credit unions and major lenders offering them at 8% or even under, and up to $500,000 with minimal paperwork requirements and low to zero closing costs to the client, it can be a good way to get someone who cannot qualify full documentation anyway enough money a loan for a low end property, particularly if they are making a substantial down payment. If you're buying a $150,000 one bedroom condo, avoiding the $3500 to $4000 for closing costs associated with a first mortgage can cut your effective interest rate for a loan you keep two to three years by about one percent. One of the things I see all the time is notations made on the listing that demotivate buyers agents, or give them a reason not to show the property. This practice has had a drastic fall off of late, with listing agents and brokerages desperate to sell after nine months on the market, but it's still there, and it's never in the client's best interest to restrict the field, or to give other agents a reason not to show your property, but that doesn't stop some listing agents from doing it, particularly in hot markets or particularly desirable neighborhoods. "Seller to select all services." Well, duh, if they're paying for them, which they are in the case of owner's title insurance, and half for escrow. But my client is paying for lender's title and the other half of the escrow, and to say it's not even on the table for discussion tells me that the listing agent or brokerage likely has their hands out behind their backs, and that's a transaction I'd prefer to avoid. Either that, or they want to steer revenue to an escrow company in which the brokerage has an interest. Escrow officers with "captive" brokerage clients have a very high percentage of cluelessness, and their motivations to give top notch service aren't exactly stellar, either. Furthermore, in such cases my client is likely going to end up paying sub-escrow fees due to splitting the title and escrow, and if that's not the most useless waste of money in the business it's darned close. Suppose my client gets cheap rates for title or escrow, or free? Suppose I've got a contract with a different company for cheaper rates? Suppose I simply know of a company that gives better rates for the same product and still has top notch providers? If you're not willing to discuss it with my client and I, there are most likely some issues going on, and unless the seller gets reduced rates or free escrow and title, something that is far more rare than the notation, there is no reason for this notation. A major variant on this is "Title and Escrow already open." This makes me ask "Why? ", and the only answer I can see is that they are trying to preempt the choice. The vast majority of buyers need loans, and the title and escrow are going to be ready long before the loan. Yes, the seller could already have filled out a statement of information with them, but that's not important to my buyer clients. "Buyer must be prequalified" or "Buyer must be preapproved." Neither one of these means anything real. They are both garbage requests. Minimum wage earners can be "pre-qualified" for million dollar properties. Even "pre-approval", which is supposed to be stronger, suffers a very high fall off rate when they actually have a purchase contract. In theory, pre-qualification means that you should be able to afford the payments on the type of loan you pre-qualified for, and pre-approval should mean that the application will be approved as soon as the blanks for the specific property are filled in. In neither case is what's really being done by most loan providers even vaguely in line with the billing. In many cases, the buyers have a hidden issue that has not yet come out, but with several hundred thousand dollars on the line, you can bet that the lender will find out about it before the loan actually funds. In a large number of cases, it may look like they're going to qualify, but their loan officer wants to make a little too much money. Neither one of these makes difference to the purchase offer I write. 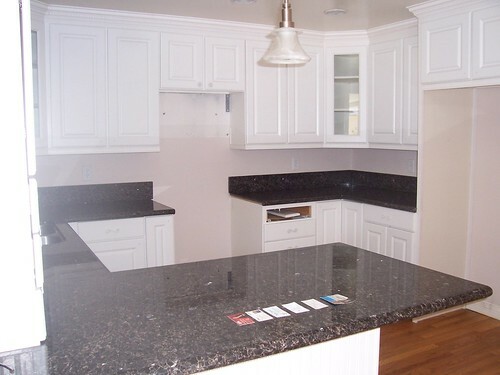 No buyers agent wastes their time working with people that they do not believe will qualify for the required loan. Once I've got a credit report, income information and a liabilities statement, I ask if there's anything else that's going to show up, and ask about any changes or bumps in their career situation within the last two years. Providing a good loan officer gets the whole truth at that stage of the game, the loan should go through. However, I've learned the hard way never to trust a prequalification or preapproval that I didn't do, and when I'm on the listing side, I ask for certain concrete information, or failing that, I'm very hard nosed about the deposit in negotiations. If I could get the loan done based upon the information, we've got a live one. If my listing clients gets the deposit if it falls out, they come out okay. But neither prequalification or pre-approval means anything real unless it's done by a loan officer with realistic expectations and the right attitude, something a listing agent has no real way of knowing. Indeed, the request tells me it's a lazy listing agent who doesn't understand how to separate the wheat from the chaff, or is unwilling to do so. "Must be prequalified/preapproved with lender X": This isn't a demand I'll even consider giving in to. Indeed, under RESPA, it's teetering right on the edge of being illegal. Thou shalt not require the other party to use your lender. Even as a buyer's agent, I would never consider requiring a client to use me for the loan. Carrots only, never sticks. In most of the cases, the lender specified is one that I wouldn't wish on my worst enemy. Especially not if I want the transaction to close on time. High margin providers who promise something great to get people to sign up and then show up with something completely different at closing. In a significant number of these cases, the agent has their hand out behind their client's back. Whether it's explicit compensation or just wanting to put the buyer in a situation where they're using a lender that's indebted to that particular agent, and they refer clients back and forth. "I want the listing when this buyer goes to sell, so I'll send all the buyers to the loan officer who will refer them back to me." Agents and Loan officers go to seminars devoted to the idea of cutting out the competition, so they don't have to compete at all. It's not in your best interest to allow them to do so. Some of them will follow the requirement they are trying to impose about being pre-approved with lender X with "Ok to use own lenders for the transaction." As if that lender doesn't have all my client's personal information. From my first week in the business, I was smarter than that. Of course, my brokers told me about the experiences of other loan officers: Their client was bombarded with multiple calls per day from that loan provider, and when the client tells them never to call again, they sell the client's information to dozens of other loan providers, and so the bombardment gets worse. A prequalification certainly counts as a "business relationship," and it's amazing how often "opt outs" aren't even offered until thirty to sixty days later. So as I said, the smart thing to do is ignore the request. "Here's an offer, take it to your client like you are legally required to do". Many agents won't even honor that, but those agents will get caught eventually. I can understand that they want a certain transaction, but there is no such thing. If they're going to serve their clients, they should know something better to ask for in negotiations. Finally, it's often a way for listing agents who want both halves of the commission to discourage other agents from showing the property. If I see a demand that a client be prequalified with a particular lender, I'm either going to ignore it completely or not suggest that property to my clients. Perhaps I'll even show them the listing (usually on paper), and tell them why they should stay away or make a really low-ball offer because of how much of a pain the listing agent is trying to be. It all depends upon how good a deal I think the property might be, and whether I think the agent is desperate enough to be reasonable yet. But as a buyer's agent, I don't have a responsibility to any given seller - the listing agent does. Furthermore, neighbors talk. If George down the street gets twenty showings and four offers on a less attractive property than this agent's client, who gets only two showings and no offers (or nothing but low-balls), that listing client is probably going to ask their agent some hard questions. What comes around, goes around. Hello Mr. Melson, Let me start off by saying that I am a big fan of your "Searchlight Crusade" website. I happened upon it a while back after I had already purchased my house. I've found a lot of useful information and I try to refer my friends and family to your site when they ask me home-buying/mortgage questions. I am emailing you because I am considering a refinance. Just a little background info: I purchased a 3bedroom/2bath 1183 sq ft home in DELETED for $323,000 in Nov 2004. I am a DELETED with a credit score of 801. My wife is a part time DELETED with a credit score of 814. I put no money down. I have my mortgage split into two loans (80/20). My first mortgage is $259K interest only with a rate of 5.375 fixed for 5 years with a payment of $1157.42. My second loan is about $64K HELOC interest only with what seems to be a monthly adjustable rate with my payments now close to $600. Both loans do not have a prepayment penalty. I've only been paying the interest every month. We plan to stay in the home for at least another three years (we are from out of state and might move back there when my son goes to high school - he's currently in the 5th grade). There is a possibility we might stay in DELETED at which point we're likely to stay in the house. I was thinking about refinancing my HELOC so that the rate would be fixed. I spoke with my lender and I was offered a 15 yr loan with a fixed rate of 7.5% with a payment "around $600" with a prepayment penalty before 5 years. Based on recent sales, my house is worth about $350K. Because of this I was told I could not refinance both loans into one. Do you think it would be worth it to refinance. If so, what type of loan should I do? Or should I figure out if I'm staying in DELETED or moving back? I would love to give you my business if you know of anything that will work in my situation. My first reaction was that there is no way anyone should accept a HELOC with a five year pre-payment penalty such as described. You are going to need to refinance your first in November 2009 if not sooner. When that happens, there are going to be issues with subordination which are likely to cause you to want to pay your new second off, especially as the lender you mention has a policy of no subordinations. This is an excellent question. Truthfully, an 8.00 or 8.25 percent Home Equity Loan (usually 30 year amortization, with the balance due at the end of 15 years in a balloon payment) will likely do better for you. Now my calculator says that a 30 due in 15 at 7.5 will have a fully amortized payment of $447.50, while a 15 year payoff is $593.29. Don't accept approximate payments, even as a quote - exact numbers tell you far too much about what's really going on. Also, you are and should remain at or below 95% Comprehensive Loan to Value (CLTV), which makes a difference on rate. Some seconds have smaller penalties, so that may modify the answer. For instance, one lender I do a fair amount of business with has a very low closing cost second with a $500 prepayment penalty, in effect for three years. The cost to buy it off? $500. However, the standard prepayment penalty would be 80% of six months interest, or about $1920. Assuming you refinance in exactly three years, that boosts your effective rate by one full percent. Now I'm happy to do whatever "stand alone" seconds come my way, a "stand alone" second trust deed being one where the primary mortgage is not being refinanced at the same time, as opposed to a "piggyback" where there is both a first and a second trust deed. However, the truth is that the best source for "stand alone" second mortgages is usually a credit union. I've got a couple of internet based lenders that are very competitive for high dollar value seconds, but for stand alone seconds below $75,000, credit unions rule. It was more cost effective to do our second with my wife's credit union than to do it myself. Just has to do with the mechanics of how brokers are set up and the way that most second trust deed lenders work. Now you do have to be able to make those payments. But what you should really be paying attention to is the total cost of the money. How much in closing costs you have to pay to get the loan done, plus how much the loan is going to cost you in interest every month. It was only a couple of years ago that most traditional lenders would charge the same closing costs for a stand alone second that they would for a primary mortgage. For a $64,000 second, that $3500 in closing costs is almost 5.5% before you get to the actual interest charge - the equivalent of a 1.8% surcharge to the rate, assuming you kept it three years. You're better off taking a 9.5% rate that carries no closing costs than you are with an 8% rate that carries traditional ones, and that's not even considering the fact that you still owe most, if not all of that extra $3500, when you go to sell your house or refinance. The situation, luckily for borrowers, has changed. Many lenders have very low cost stand-alone second trust deed programs, whether you are looking for a fixed rate home equity loan (HEL) or a flexible Home Equity Line of Credit (HELOC). The rates are higher than first trust deed loans, but the requirements are lower. Because the rates are higher, lenders are competing for these loans, with credit unions leading the charge. If there's a first mortgage involved, things are different. Most credit unions don't really have the resources to handle first trust deeds, with dollar values having appreciated the way they have. So they partner with major commercial banks, becoming essentially dedicated brokers for first mortgages, while competing ever harder for second mortgages in their own right. Nonetheless, because lenders want second trust deed loans, the result of their competing with each other has been a drastic drop in closing costs for second trust deeds over the past few years.